When you need your garage door repaired in Tucson and surrounding areas (including Marana, Oro Valley and Saddlebrooke), you want to make sure you're calling an experienced professional. Someone that you can trust to not only do the job right, but to be honest with you about what is wrong and what it will cost to get things working again. New Customers - Click to get an EXTRA $20 Off! 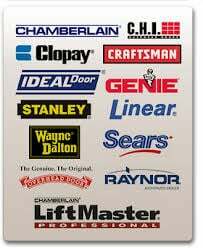 Finding someone good to fix your garage door sounds simple enough, but since you probably don't discuss this kind of repair work every day with your friends and neighbors, it can be hard to figure out who you should call, especially when you have so many choices. I found John to be great to work with and really appreciate his responsiveness. I would give him a 5 out of 5 without hesitation. 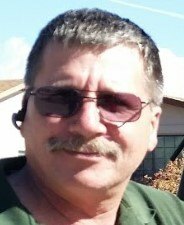 With over 25 years in the business of installing and repairing garage doors and door openers, replacing torsion springs, door panels, rollers and bent overhead door tracks, I can tell you that not many technicians in Tucson, Arizona are going to have more experience than me. And because I run such a small, tight operation (it's mostly just me, John the owner, who does all the work), I can tell you that you aren't likely to find a better price from any other garage door repair service in town either. What you won't get when you hire John's Garage Door Repair is a big, fancy truck with my company name and logo wrapped all around it (OK, maybe just on the tailgate!) You won't see my name on TV or up on billboards all around the Tucson area either. You also won't get a commissioned sales person giving you a quote on the work that needs to be done. Being a locally owned and operated small business, and because my name and reputation are the driving forces behind keeping my business going, my focus is on delivering value to my customers. Through good, honest work and positive word-of-mouth referrals, I'm happy to say I have a successful business. So if you or anyone you know needs their garage door serviced, whether it's routine maintenance, a sudden, unexpected broken garage door springs, time for a new electric garage door opener, or even a sectional panel that got "bumped" one too many times by the car.. call me and I'll be more than happy to give you a free estimate. New Customers - Click to get an EXTRA ​$20 Off! I'm confident that a single service call to John's Tucson garage door repair service will be the only call you'll need to make to get your garage door working again. Not all garage door problems are a big deal. There are times when a bit of knowledge and understanding of what's going on is all it takes to figure out how to get things working again. The video below helps explain and illustrate some of these common issues and might help you. But remember, if you have any doubts, don't hesitate to give me a call and I'll be happy to come out to help! 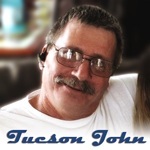 Call me today for the best, most affordable garage door repair in Tucson! 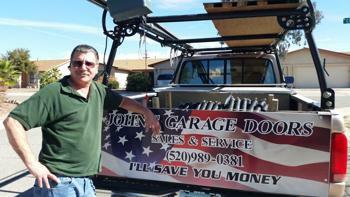 John Mucciacciaro - Owner and operator of Tucson's best, most affordable garage door repair service, John's Garage Doors.